Forager Project Cashewgurt is an organic, cashew-based, dairy-free yogurt alternative that comes in a solid array of flavors. And unlike many of their competitors, they do offer an unsweetened variety. They also boast relatively short ingredient lists and six different types of live and active cultures. Cashewgurt Unsweetened Plain Ingredients: Cashewmilk (filtered water, ground cashews), cassava root, cornstarch, locust bean gum, natural flavor, live active vegan cultures (5 strains). The Unsweetened Plain Cashewgurt is much milder than Kite Hill’s Unsweetened Yogurt, which I liked. The cashews provide just enough natural sweetness to create a neutral-tasting yogurt without any overt sweet or sour notes. There is just a very light tang, with a rustic, natural, homemade taste and finish. Consequently, the pleasantly creamy consistency does taper off into a slightly separated aftertaste that is a wee bit watery and powdery. However, it wasn’t off-putting. The very large 1 cup serving size of Cashewgurt (I usually had half this), contains 170 calories, 11g fat, 15mg sodium, 1g fiber, 2g sugar, and 5g protein. It is not fortified, so you won’t see notable amounts of calcium, vitamin D, or other infusions. I’ve yet to taste-test any of the sweetened and flavored varieties, but will update here if I do. In the meantime, I welcome your comments if you have trialed any of the Cashewgurt flavors. The feedback helps everyone! 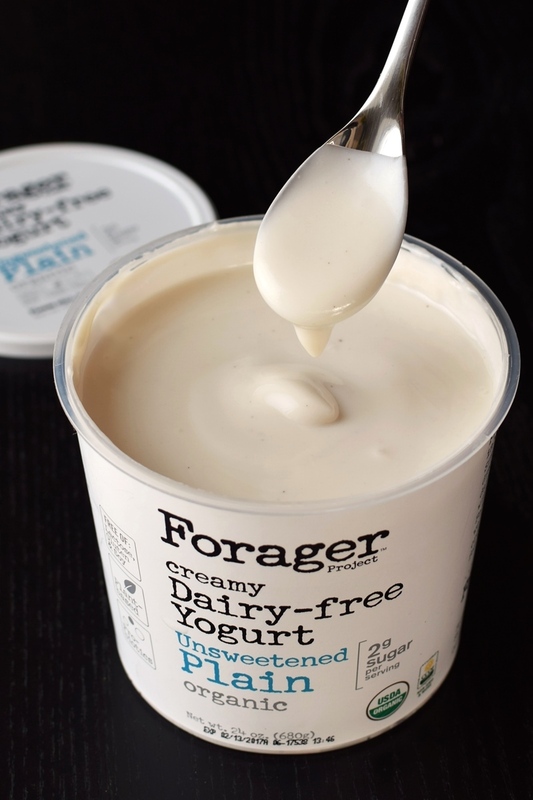 Availability: Forager Project Cashewgurt Dairy-Free Yogurt is sold at natural food stores and select grocers, like Safeway, throughout the U.S.
Certifications: Forager Project Cashewgurt is Certified Organic and Certified Kosher Pareve. Dietary Notes: By ingredients, Forager Project Cashewgurt is dairy-free / non-dairy, egg-free, gluten-free, grain-free, peanut-free, soy-free, vegan / plant-based, and vegetarian. For More Product Information: Visit the Forager Project website at foragerproject.com. I love this stuff….eat it w fruit & honey for breakfast, use it in my smoothies, great as a substitute for sour cream on a taco, I mix it with a little mayo and dill and it makes the greatest sauce for fish. good stuff, versatile and good for you. 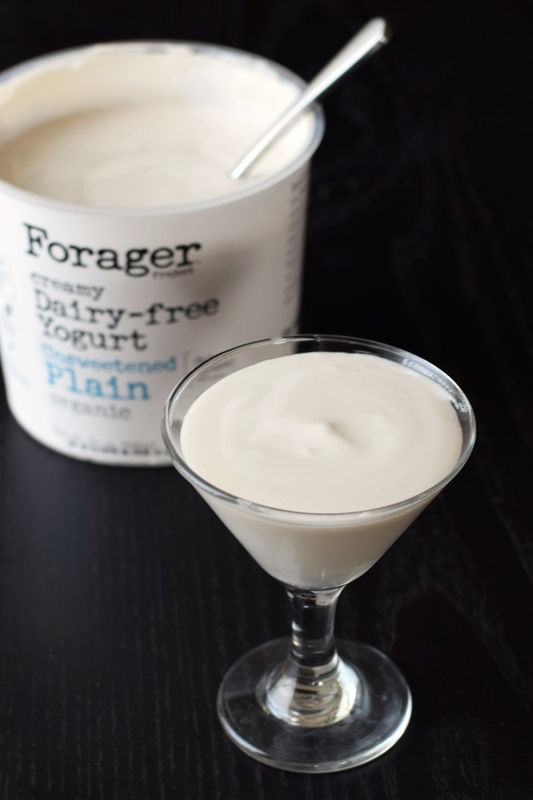 I’d been looking high and low for an unsweetened, dairy-free yogurt and I am really pleased with Forager cashewgurt. Much thinner than traditional Greek yogurt, which was my go to before I quit dairy, but definitely acceptable. Smooth, good balanced flavor. I will definitely be purchasing this again. 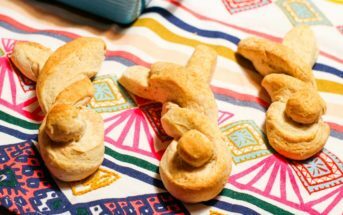 I tried the unsweetened plain and was very pleased with the mild and pleasing homemade taste. It had just slight sour or tangy notes. 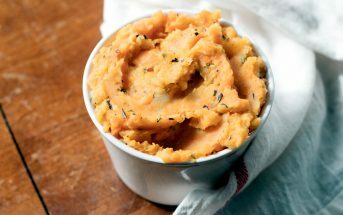 I think it will be very versatile in smoothies and recipes, and was delicious with sweetener added – even stevia. The consistency was a little thinner than I expected, but it still taste quite creamy at first. But it does have a somewhat watery finish that left me a little less satisfied. Nonetheless, I’d consider this a top pick in the unsweetened dairy-free yogurt category and plan to purchase again. I’ve only had the vanilla, strawberry, and lemon. I suppose to give an honest review, comparing it to dairy yogurt, it is definitely thinner. The consistency wouldn’t be comparable, using it for cooking. I love the taste, however! Yikes. Maybe I’m pickier than most, but I chose to try this one because it has the least thickener garbage in it than anything else I’ve tried that is dairy-free. I’m a fan of Greek yogurt – I like the thick, tangy texture – and while I knew this wouldn’t be that, this was so thin and runny and had a funky taste not even remotely close to rich, tangy dairy yogurt. It’ll make good overnight oats, sure, and would be good in smoothies, and even makes a good sauce to put on top of tacos, but actual yogurt? Nope. 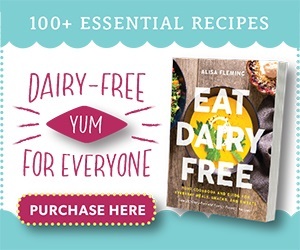 I’ve had some fabulous tangy, creamy small-batch coconut milk yogurt in Los Angeles that absolutely stands in as a dupe for the real thing, even with its distinctly non-dairy flavor, and this just pales in comparison. But I know it can be done, so I always wonder why nobody who can mass-produce actually does it. Seriously, I will not buy this again. I’ve been wondering about batch issues with them, as you can see in the one I bought above, it wasn’t runny at all! But I heard this from one other person, too. You might want to try Silk (their Almond line doesn’t contain a bunch of thickeners) and Coyo. I am on a homeopathic diet & have to stay away from sugar. I’m a smoothy drinker for my breakfast comfort food. I added frozen fruit & bananas. I blend it with almond milk. I’m gonna try adding some cinnamon as I noticed on another post. Not too bad just a little pricey since I’m use to buying store brand mixed with fruit. Had to give that up. I found it at my local food store, Shop Rite in NJ. It is a bit soupy but the bananas help. I hope my store keeps it in stock! 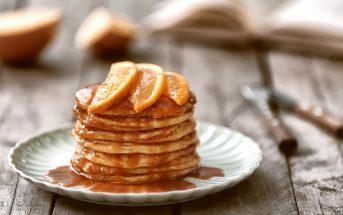 I routinely purchase the plain or the vanilla, which ever has the longer outdated and have it with a spoonful of homemade fruit preserves for breakfast. One of the few DF yogurts that have active cultures that does not upset my stomach. They also offer a kefir like product in plain, blueberry, and strawberry. I tried them all and like the blueberry best. I get this when the yogurt is out of stock. Just found the nutmilk shake at a Whole Foods. It was nuts and oats with 5 g protein in 16 oz. The flavor was okay. I would purchase it again but there are others I like better. Thanks for sharing this Audrey! I still need to try some of these. It has a rustic taste or feel.. like smokey at the end. Perhaps it is not supposed to taste that way? But I have to say I ain’t giving up.. I’ll try the vanilla one a little later. I’m looking for a yogurt I can use in smoothies without having a funky taste to it. I just turned vegan so I am hoping to discover more things that I didn’t get to as a vegetarian. I was very set in my ways when it came to cheese, some other dairy items like yogurt, and then eggs..but I am trying to just step away from it all and be more healthy. I look forward to it. I’ve only tried the unsweetened, and it does have a bit of an aftertaste. Interesting that the flavored one does, too. Silk is everyone’s favorite (but high in sugars! ), but I think So Delicious coconut is very good in smoothies. They have two unsweetened varieties, too, and don’t tend to have an aftertaste. I have tried the Lemon and Blueberry and they are wonderful I just love the texture and taste I am going back to the store to get the plain so I can flavor it myself, I am so glad that I came across this very rare to find here in south texas. Hi Judy, we aren’t affiliated with Forager and don’t have a store locator app. You will need to contact them through their website for help. 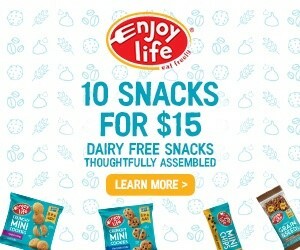 This is a third party review of their product by myself at Go Dairy Free! I use this (plain) to make raita – a seasoned dish with cucumber or cooked zucchini, cumin powder, black pepper, and salt. mix and eat on rice or dip veggies in it. The plain unsweetened cashew yogurt. My wife and I both thought it tasted like dirt. Nasty. Will be returning it to Whole Foods. Bummer! Crazy how all over the board the comments are on this one. I wonder if they’ve had some inconsistencies in batch runs. It happens a lot with yogurts. I am a huge fan of Siggi’s yogurt but am trying to go dairy free. It has been impossible to date, but I bought a couple of the cashewgurts and really like them. They are not as creamy or thick as milk based yogurts, but this is the first brand I have been able to eat and enjoy. I’ll try some other flavors. 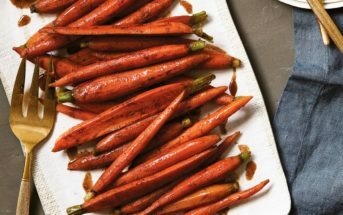 As an Indian who uses yogurt in savory recipes, this yogurt (PLAIN & UNSWEETENED) was spot-on & seamless in transitioning from dairy yogurt to dairy-free yogurt in recipes. I love curd rice, Dhai Vada, Mour Koyambu, Khadi, Salty Lassee…all these things are now possible for me. I even had my Dad taste it and being a critic of vegan substitutes and even soy yogurt I made at home, he said this yogurt tasted just like regular yogurt my mother makes daily. This is fabulous! Thanks so much for sharing your feedback on this product Maha. Sounds like it passes some serious tests! As noted above, it is vegan by ingredients. You’d need to check with the brand if you have very specific concerns though! What is the “natural flavor” in your products specifically the Cashew milk original? Hi Kit, I’m not affiliated with Forager. This is a third-party review (I bought the product myself!). You’d need to contact them with specific questions like this. I love it. I’m going to start chemotherapy and want to boost my immune system and keep things pure. I think the probiotics will help a lot. I hope it goes well for you Rita. You have our best wishes. I purchased the unsweetened Cashewgurt at Whole Foods in Yonkers, NY. The ingredients on the label make no mention of cornstarch. Is there any cornstarch in your unsweetened Cashewgurt? If it isn’t on the ingredients then it shouldn’t be any in the product! But you would need to contact Forager directly with your inquiry Sheila. I’m not affiliated with them. This is just my third party, unbiased review from buying the product myself! This is my favorite yogurt brand and I love the wholesome ingredients they use. I’ve had the strawberry, blueberry, and vanilla and they’re delicious. I’ve been buying the unsweetened tubs and eating in the mornings topped with some homemade granola. I have seen their cashewmilks at Whole Foods and Sprouts but I haven’t got around to trying it yet. It’s on my grocery list. Well feel free to let us know what you think of those, too, Christine. Thanks for sharing this! I bought my first larger container of the unsweetened yogurt 2 weeks ago. Since I can’t have almonds or milk, this is exactly what I’m looking for. Hoping my store as more in stock today! That’s great! Glad this brand worked well for you Cheryl. Just tried the plain today and loved the flavor. Have been eating cashews (and pistachios and mangos too – they are in same allergen family) for most of my 40+ years. Within a couple of minutes, I had a severe allergic reaction with swollen lips. We can only suspect it’s the cashew yogurt which is a shame because I thought I had found a new favorite non- dairy treat. Who knew the cashew milk would do that. What a bummer! It definitely sounds like something you might want to investigate with your doctor. I loved this. The unsweetened is perfect to add granola too. I haven’t tried their flavored ones yet though. This stuff had the consistency of dishwater. That’s not what I want in a yogurt. I was not impressed. I’m wondering if you got a bad batch Casey? You can see the one I purchased (in the pictures above) definitely isn’t the consistency of dishwater! Probiotics can cause a breakdown – I wonder if that happened with a batch. If this was a recent purchase, I would let the company know. It could be cause for concern.